Hooray – we’re at a pub! We got under way at about 7.10 this morning. Stopped at Cropedy where Luke purchased “essential” supplies. The shop no longer stocks Calor gas so we continued on with an empty bottle. Reasonable progress until reaching the Claydon Flight where things slowed down somewhat. 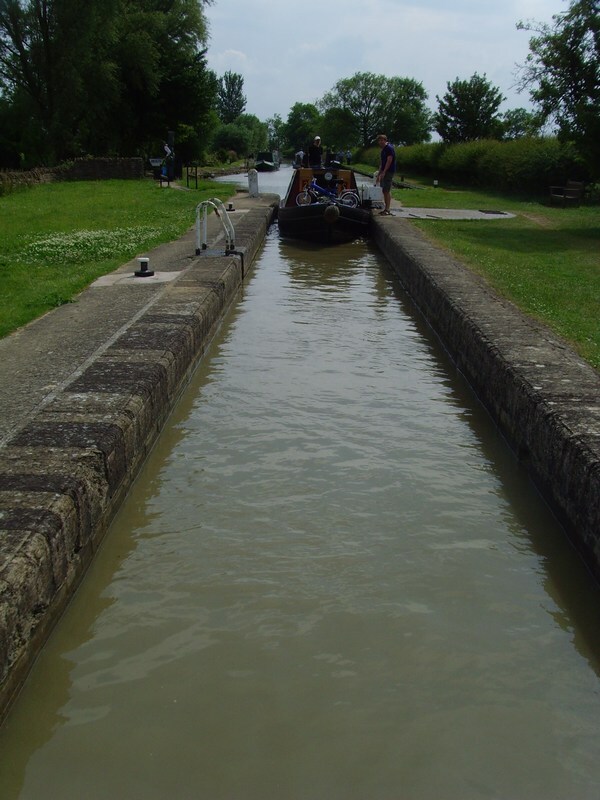 Pulling in at Fenny Compton we managed to succeed in our gas mission and now have two full bottles aboard. A new crew member also joined us here. Luke reckons he has eaten his bodyweight in flies (so much for the vegetarianism). This probably happened on the Oxford Summit as there wasn’t much else to do. The Napton flight saw us slowing down again. 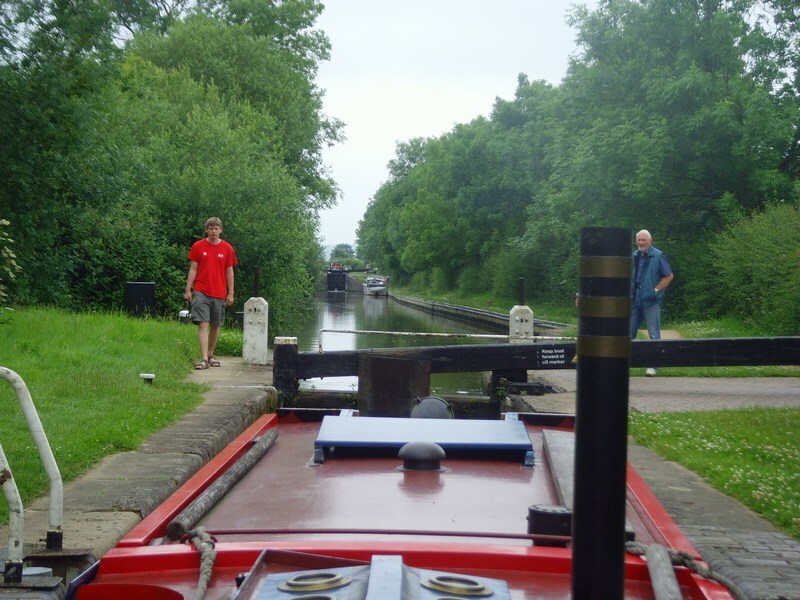 At the first lock we found two boats ahead of us and a number of others followed us all the way down. At the last lock we received some much appreciated help from the BW staff. Bernard pulling in to a lock. Shortly after getting to the bottom it was decided that our 10 hours running time was well over so we moored up. Fortunately we managed to find a mooring spot that was well-equipped with both mooring rings and a pub. Bernard and I quickly headed up there to sample a few pints of Alton’s Pride (and meet a dog called Sidney) leaving Luke to prepare tonights culinary adventure. Today’s menus: various breakfasty sandwiches, boat-cooked gammon sandwiches with salad and runny egg mayonnaise for lunch, and Khutti Dhal, Mattar Paneer and sticky rice for dinner. Dessert is best described as chocolate brownie pudding with ginger custard. 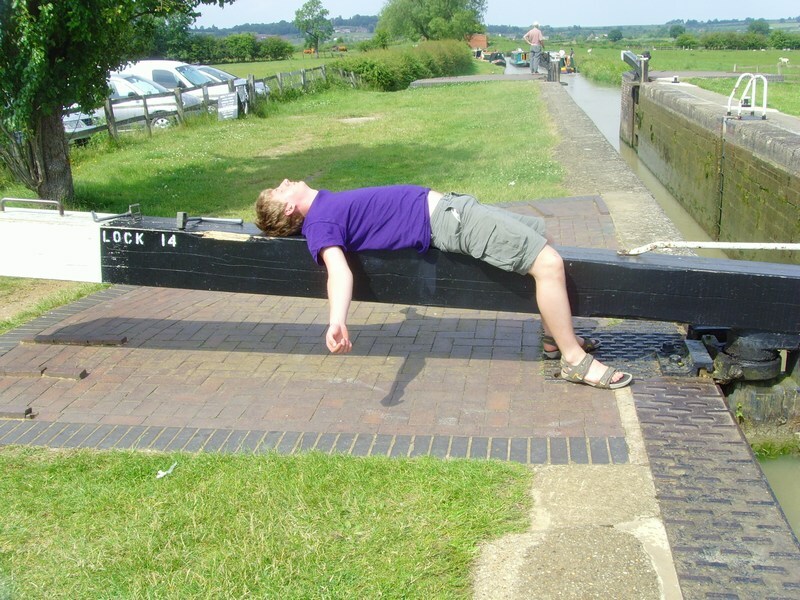 Reports are that Braunston is heaving with boats so another early start tomorrow to make sure we don’t get stuck in that. This entry was posted on Thursday 25 June, 2009 at 21:28 and is filed under 2009 voyage. You can follow any responses to this entry through the RSS 2.0 feed. You can leave a response, or trackback from your own site.